Osteomyelitis involves inflammation and infection of bone marrow or bone. It often develops because of a fungal or bacterial infection that enters the tissue of the bone through the bloodstream after surgery. However, the infection can also start in the bone if an injury allows germs to invade body tissue. Children tend to develop osteomyelitis in the long bones of the upper arms or legs, whereas, adults tend to develop the condition in the bones of the vertebrae (spine) or pelvis. Diabetics also develop the condition in the feet, if they suffer from foot ulcers. While osteomyelitis was once thought to be an incurable condition, medical science can successfully treat it today. However, this often requires surgical procedures to remove necrotic tissue (dead bone tissue). Followed treatment requires strong antibiotics that are often administered intravenously for up to six weeks. Any individual of any age can develop osteomyelitis. This is because it affects adults, teenagers, children, and even infants. However, different age groups usually suffer from distinct forms of bacteria that tend to affect certain parts of the body. Medical researchers know that there are distinct ways that individuals can develop osteomyelitis bone infection based on their age and other health condition. Some groups of individuals develop the disease from bacteremia or bacteria spread through the bloodstream and into the bone, resulting in an infection. This form of osteomyelitis usually develops because an infection has traveled from some other area in the body including an abscessed tooth, pneumonia, or urinary tract infection. Injuries, especially an open wound, directly over a bone can cause osteomyelitis. This occurs when the patient is suffering from some other condition like diabetes, peripheral neuropathy, or peripheral vascular disease. Compound fractures (open fracture) can also cause osteomyelitis where bacteria can enter through the skin that has been punctured by bone. Usually, long bones of the lake including the fibula, tibia, and femur are affected by osteomyelitis. However, can develop in any bone producing alum, tenderness, pain, redness of overlying skin, high body temperature, and a general feeling of being unwell. The common symptoms associated with osteomyelitis vary greatly among individuals. The condition develops quickly in children who often develop tenderness or pain at the affected area or lose function of the affected limb or when walking or bearing weight on the limb due to excessive pain. Children often experience chills, fever, and redness at the affected site caused by the infection. Even though the symptoms are more severe in adults compared to children, usually they do not experience fever or pain but simply a breakdown of the skin that becomes worse and will not heal. To validated diagnoses of osteomyelitis, the doctor will usually perform a comprehensive physical examination and complete a medical/personal history. Usually, the diagnostician will ask the patient certain questions to determine if they have recently suffered a minor or major infection anywhere in the body or have a family medical history of the disease. The doctor will also want to know the drugs the patient is currently using along with any past medical history of infections or other serious conditions. Physical Examination – The doctor will attempt to identify any area of swelling, redness, tenderness, pain, or decrease in the range of motion. Upon examination, the doctor can determine if any open sores are present on the skin surface. Comprehensive Blood Tests – The doctor will likely order a comprehensive blood test to rule out the presence of an infection occurring anywhere in the body. Complete Blood Count – The doctor will want to know the numbers of red blood cells, white blood cells, and platelets in the body to determine if any infection is occurring. Blood Cultures – Taking a blood culture or sample can help evaluate what is going on in the body and determine the presence of a mild infection. 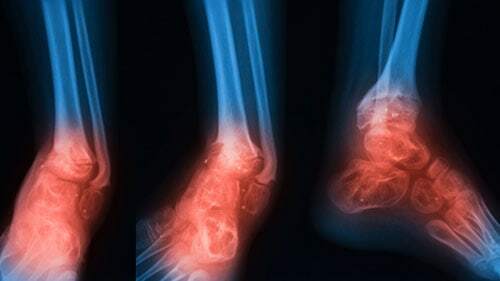 Imaging Studies – The doctor may recommend an MRI (magnetic resonance imaging) scan, ultrasound, CT (computed tomography) scan, bone scan, and x-ray (radiograph) that can identify any changes in bone tissue that is being caused by osteomyelitis. Even though none of the tests listed above can conclusively verify the diagnosis of osteomyelitis, it can rule out the presence of an infection of the body, that is associated with the condition. Taking a biopsy of bone tissue can help rule out or validate the presence of bacteria associated with osteomyelitis that might be controlled using an antibiotic treatment. Doctors will often prescribe pain medications and antibiotics to treat osteomyelitis during its initial stage. However, if a biopsy validates the presence of osteomyelitis, it can also provide assistance in using the best antibiotics to ensure the infection is eradicated. Usually, this requires four to eight weeks of intravenous antibiotic drips to ensure the disease responds well to the treatment. In severe cases, the doctor may recommend immobilizing the affected area using a brace. This will help diminish the level of pain while allowing the body to speedily recover. However, surgery is often necessary in many cases to cut away bone abscesses involving localized masses of bacteria. The doctor can open the affected area, washing out, and drain away bacteria debris. If the doctor suspects bone or soft tissue damage, they may remove the affected area and replace it with a bone graph or use stabilizing methods during surgery. If osteomyelitis is diagnosed early and the patient receives the appropriate treatment, the outlook (prognosis) for their health is usually very good. This is because a regiment of affected antibiotics given intravenously between four and eight weeks, or sometimes longer, can ensure that the bacteria causing osteomyelitis has been eradicated from the body. In these cases, the patient will make a full recovery without any long-lasting complication. However, if the diagnosis or treatment has been delayed for an extended time, usually the patient will suffer a significant injury to soft tissue and bone tissue caused by the trauma of diminished blood supply. These cases often tend to recur even after a successful treatment. When this occurs, the doctor will likely recommend bone grafting or surgery that will often pro the amount of time it takes the body to fully recover.